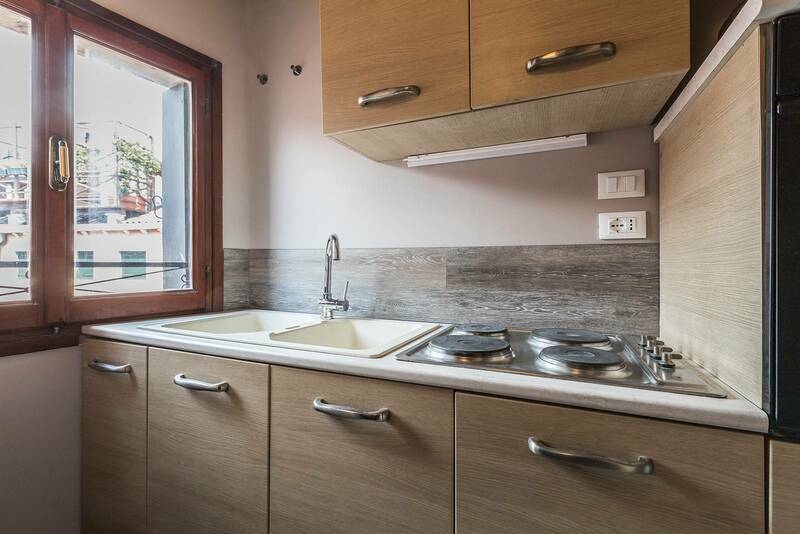 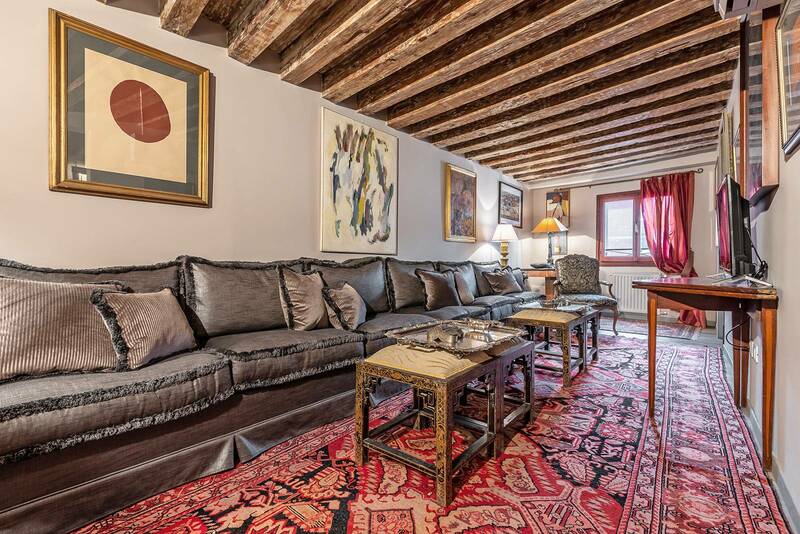 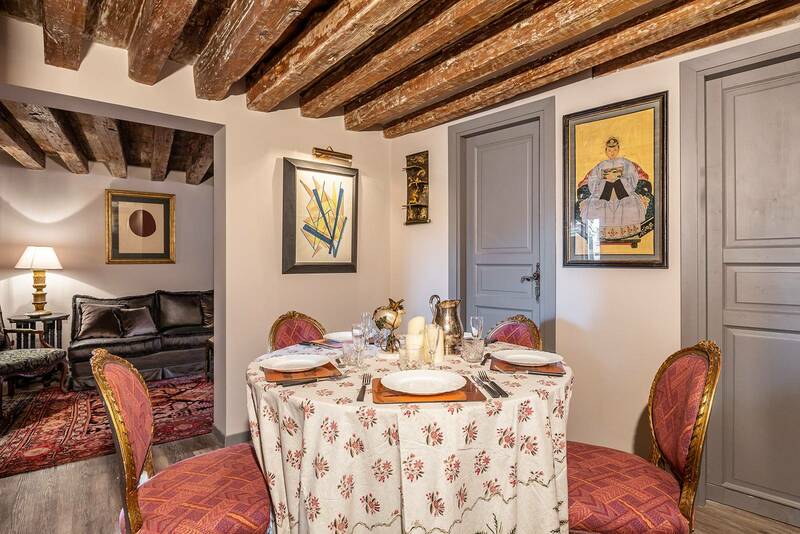 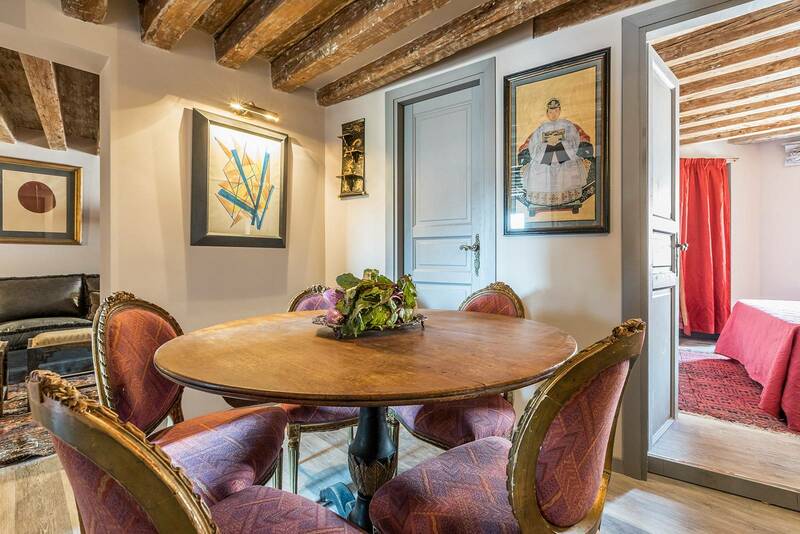 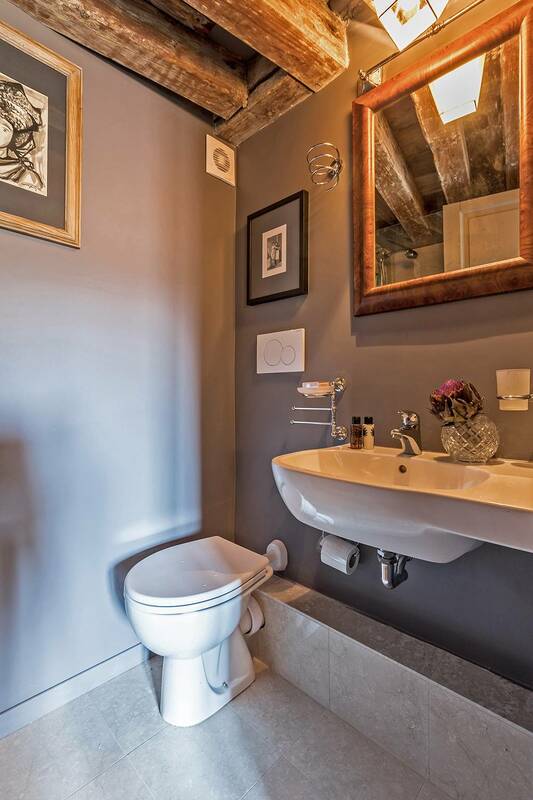 Elegant, charming and surprisingly spacious in a tucked away spot in the very centre of San Marco District. 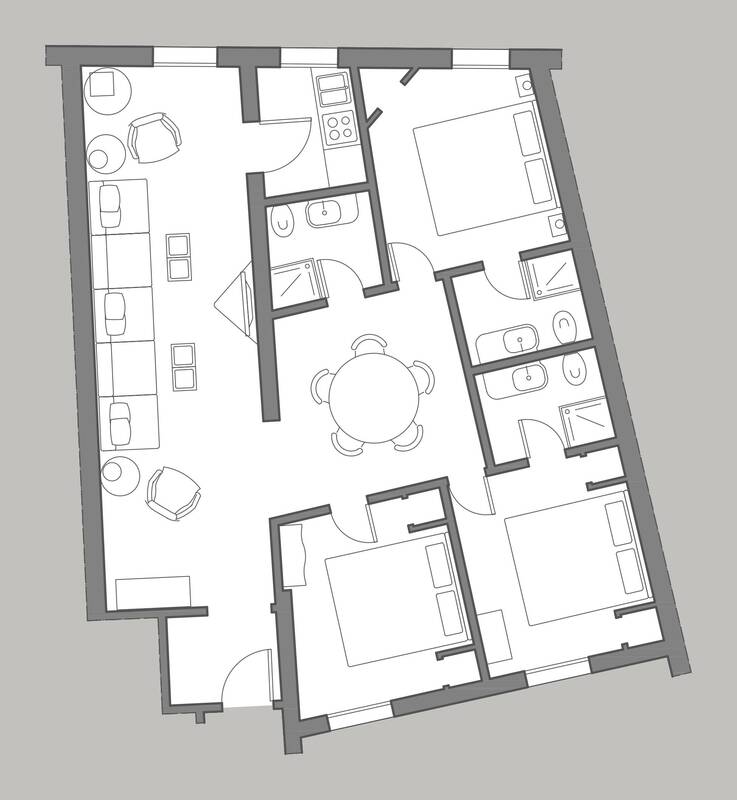 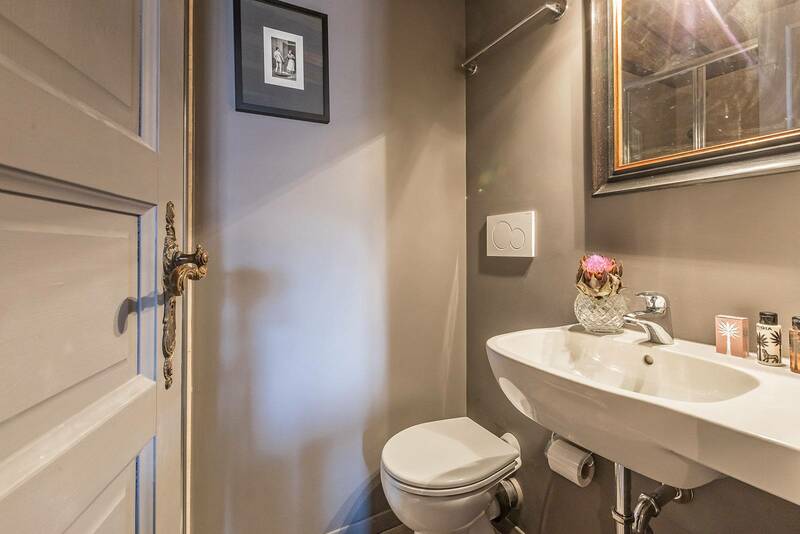 Come lift the lid on this treasure chest apartment hidden deep within the heart of the city. 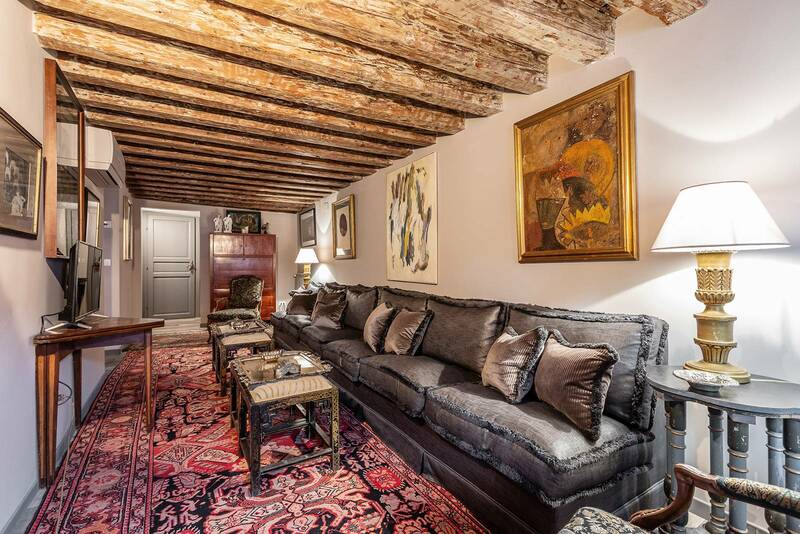 Located in the hidden and quiet little square called “Corte Gregolina” only two minutes’ walk from the busy St. Mark’s Square, the stylish Albrizzi Apartment welcomes 5 guests in warmth and well-being in a softly lit setting of wonderful original artwork, antique oriental carpets, and characterful wooden beams dating back to the 18th Century. 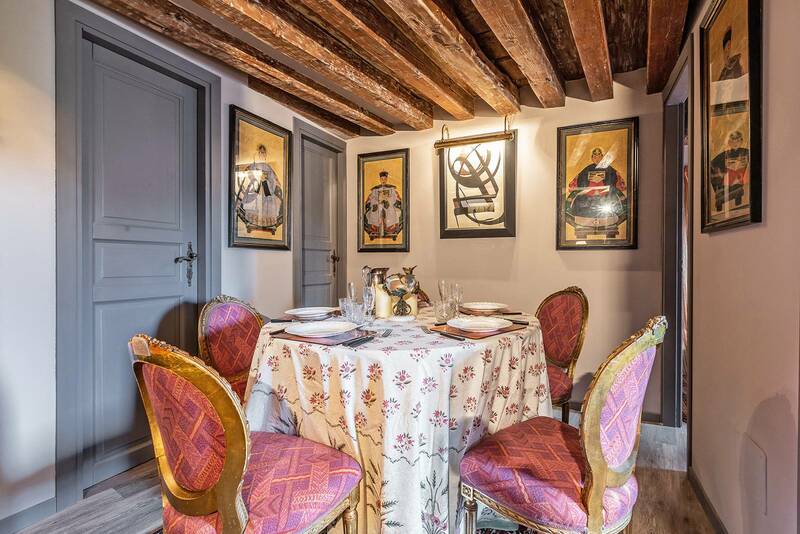 Beautifully dressed by its interior designer owner and faintly reminiscent of the far eastern travels of Venetian adventurers and traders of times long gone by, its rich colours and faded elegance are both opulent and relaxing, while exquisite Italian and Chinese furnishings from a Neapolitan family collection now call Venice and Albrizzi their home. 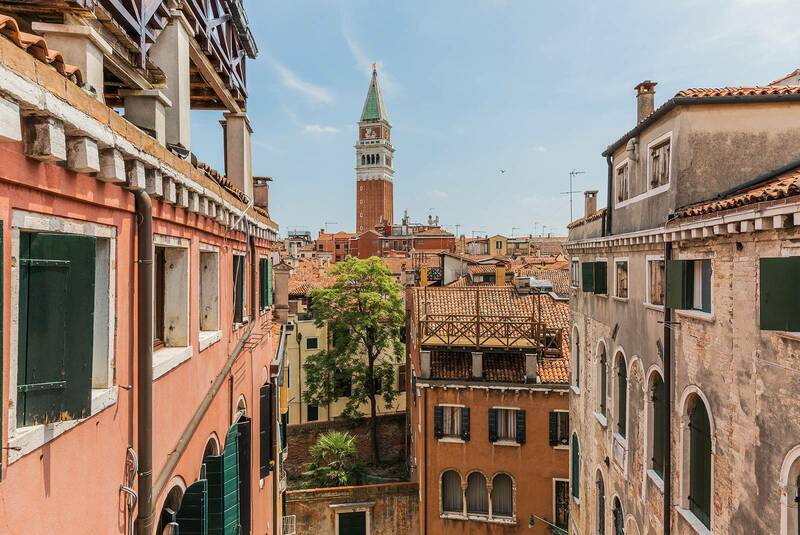 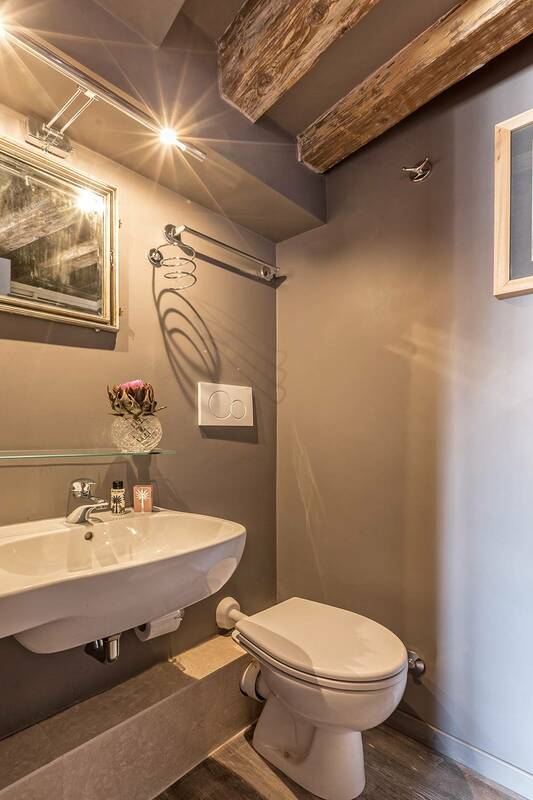 Boasting breath-taking views of St. Marks Bell Tower and the picturesque canals nearby, the apartment sits on the 4th floor (reached by stairs) and offers supremely comfortable and fully air-conditioned accommodation. 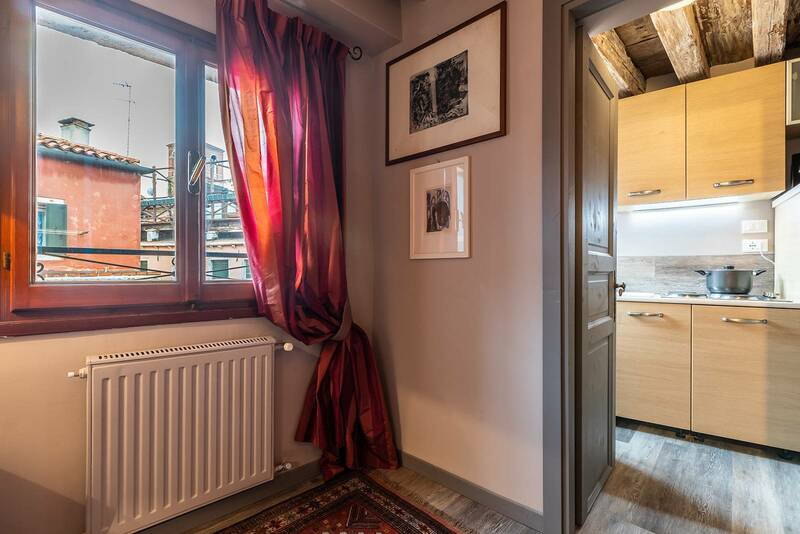 It is composed by a small internal entrance hallway leading into a cosy living room perched above the intersection of 3 canals (Rio de San Salvador, Rio dei Scoacamini and Rio dei Bareteri) and enjoying the inimitable sound of gondolas as they glide by below, a compact and well-equipped kitchenette (also above the canals), a dining room at the centre of the apartment with an antique table seating 5 people, three very chic double bedrooms each with a double bed (one over the canal with a en-suite bathroom with shower, two with wonderful views towards St. Mark’s Bell Tower, one with an en-suite bathroom with shower), a third separate bathroom with shower. 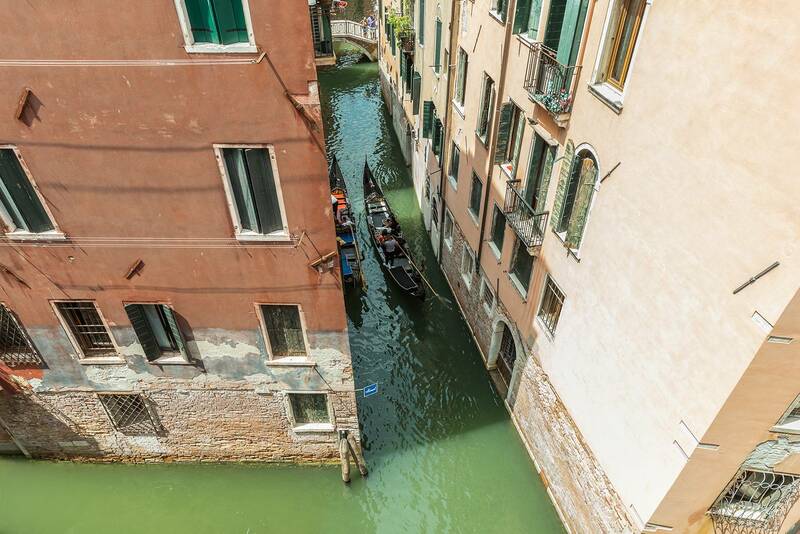 In an evocative area of Venice completely encircled by canals, moments on foot to the iconic sights of St. Mark’s Square including the Basilica, the Campanile, the Torre dell’ Orologio (Clock Tower) and the Doge’s Palace, and Venice’s semi-secret hidden treasures such as the dainty fairy tale Scala Contarini del Bovolo. 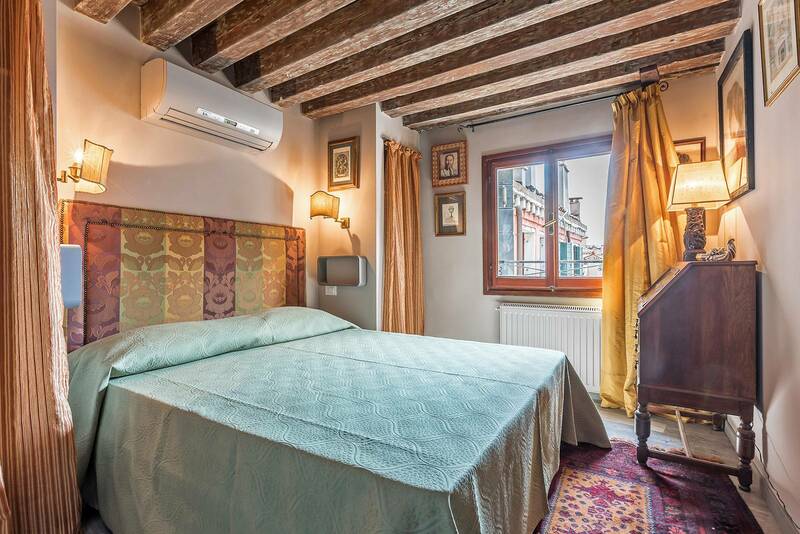 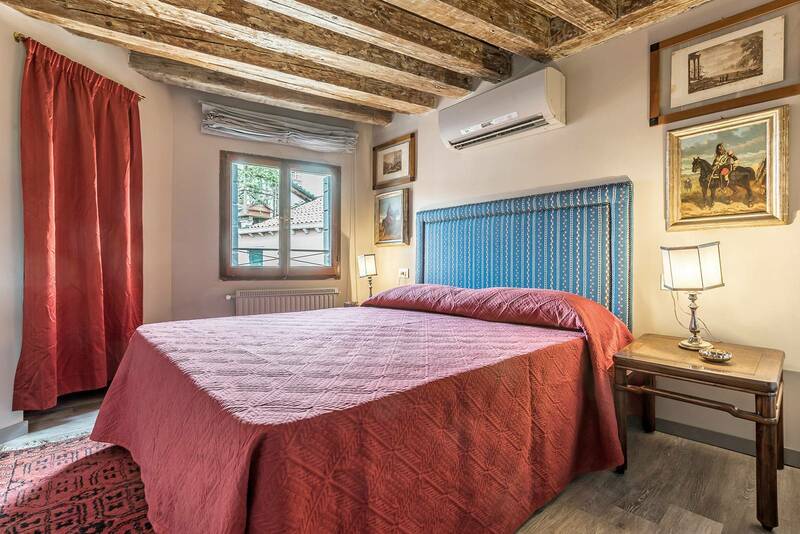 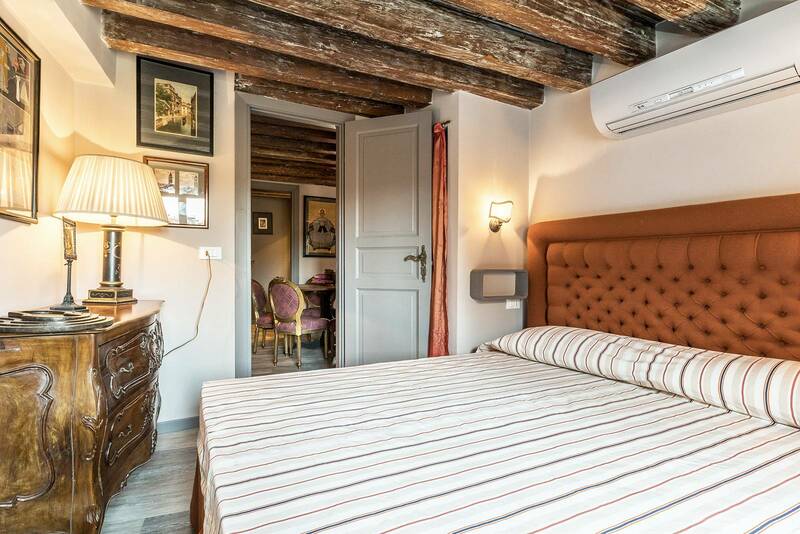 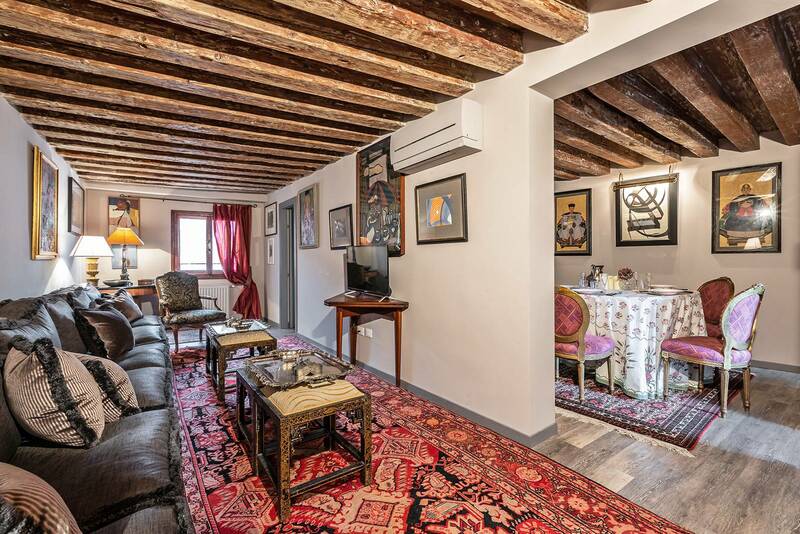 Within minutes of the recently restored Rialto Bridge on the Grand Canal (crossing over to the famous Rialto fish, fruit and vegetable markets on the other side – food-lovers’ heaven! 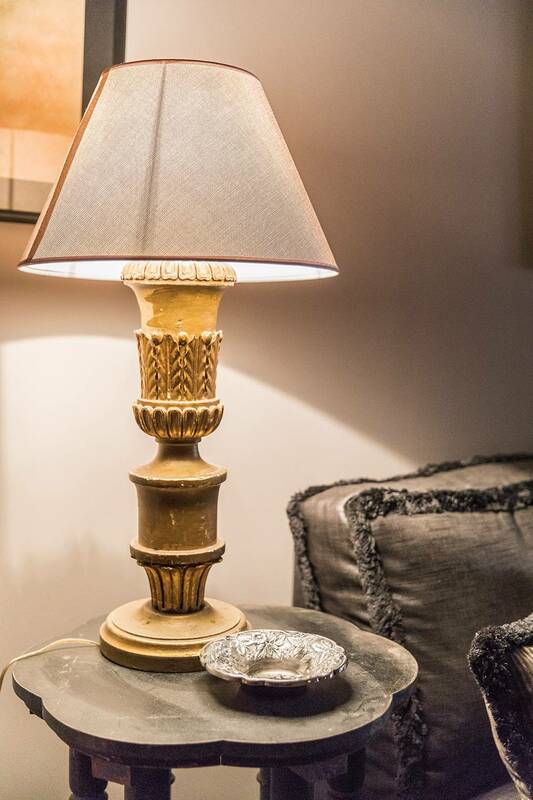 ), and to shops and supermarkets for hassle-free shopping and self-catering supplies. 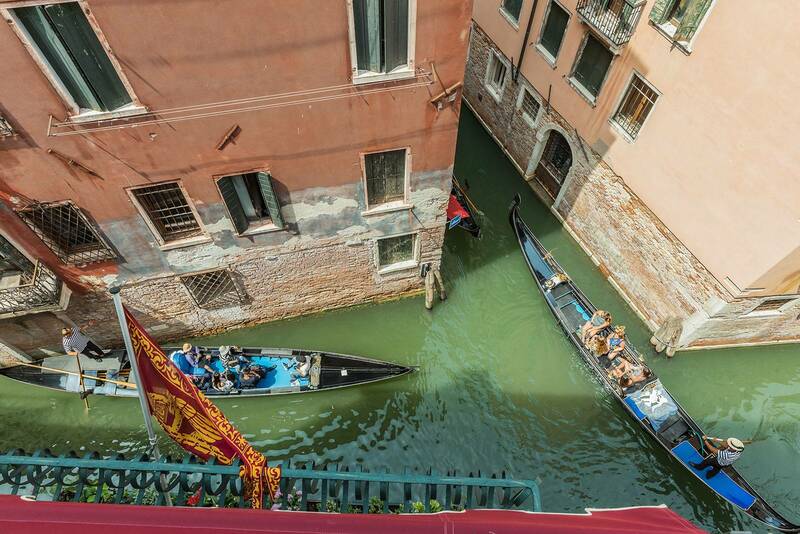 Also within easy reach of 2 vaporetto (water bus) stops – one at Rialto and the other at San Marco Vallaresso - for easy exploration of the city and beyond!